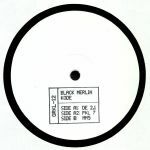 Review: Following up some great tracks on Pinkman, Mannequin and Malka Tuti in recent times, British synth wizard George Thompson returns under the Black Merlin alias - delivering some bold EBM and electro-noir antics for Berlin imprint She's Lost Kontrol. The rusty grind of analogue arpeggios, with minimal rhythms awash in icy trails of reverb plus guttural howls through walls of distortion shall taunt you throughout the sonic contents of the Noi EP. While Thompson sure has a knack for nailing all the hallmarks of early industrial music, he still finds time for the same tribal meditative minimalism found on his Karamika project as heard on the riveting "Noi 2" - one of the EP's highlights. 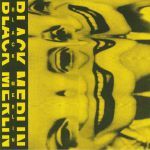 Review: Over the past couple of years, George Thompson AKA Black Merlin has made some of the most intoxicating, otherworldly electronic music around. The genius of his music lies in the way Thompson fixes creepy, paranoid aural textures and faintly haunting lead lines with rhythmic and instrumental elements inspired by trips to South East Asia and Oceania. 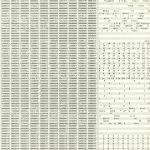 He's at it again here, too, wrapping chugging polyrhythms and uncomfortable electronics in chiming, Steve Reich style melodic cycles on brilliant opener "DE 2.1". The track that follows, "PKL", is arguably even more unsettling in its hypnotic melodic approach, twinkling sound palette and mind-bending electronic shifts. Arguably best of all, though, is epic B-side "MM5", a sparse and loopy affair that could well be capable of inducing hallucinations in even the most sober of listeners.